The "Clean hands in prison" campaign is focused on raising awareness on the importance of washing hands, reducing the prevalence and transmission rates of diseases brought about by a lack of hygiene and sanitation in jails. 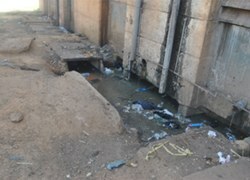 WaterAid, an international NGO with expertise on water, hygiene and sanitation for the poor, marginalised and vulnerable people, reports on their website that to promote and ease the practice of hand washing practices for inmates, it has installed some hand washing facilities in various strategic places within the main prison of Ougadougou. There are also plans to build facilities, carry out awareness sessions and train inmates on hygiene rules and practices. The spread of diseases in prisons can be ascribed to a number of conducive factors including crowded cells with precarious conditions and lack of soap and hand washing facilities. Mr Joe Lambongang, WaterAid Regional Programmes Manager, noted that the success of this pilot project requires the active involvement of all partners at different levels working together to make it a model which can be reproduced in the sub region, and even globally.